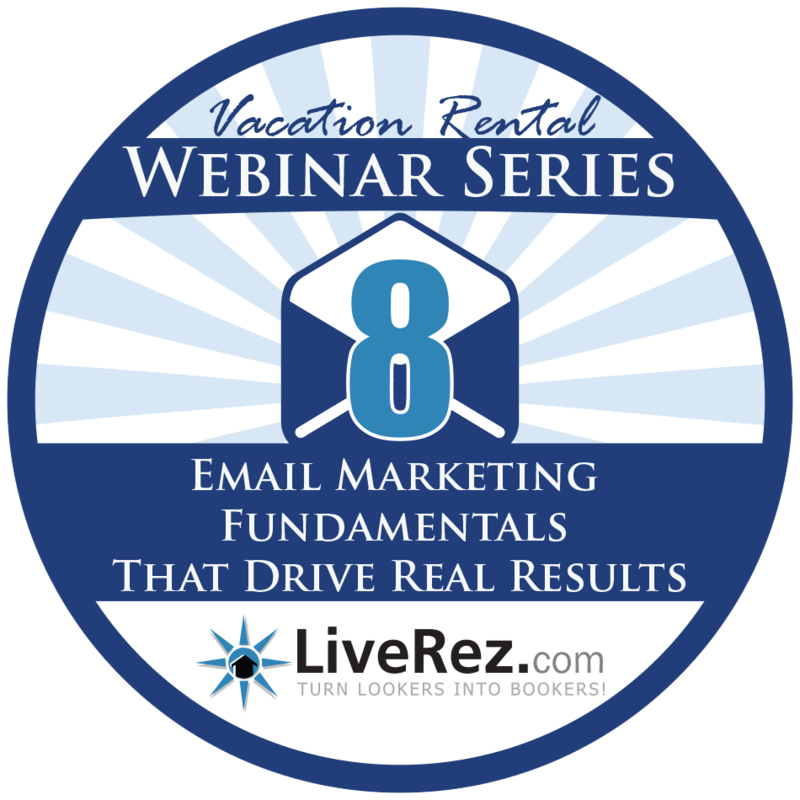 The next installment of LiveRez's vacation rental webinar series is slated for Wednesday, April 22 at 2 p.m. ET. Titled “8 Email Marketing Fundamentals That Drive Real Results,” this webinar will show you the essential components of creating successful email marketing campaigns. The webinar is free, and all professional vacation rental managers and their staff are invited to attend. To register, click here.